Need to plan a group ski trip with pristine slopes, après ski and unsurpassed views? 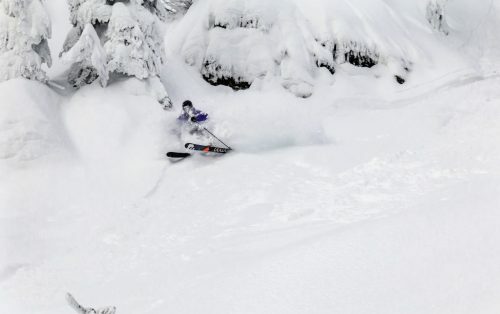 Montana’s Whitefish Mountain Resort is just the (lift) ticket. When your group arrives in Whitefish, Montana, everyone will immediately decompress—whether it’s by taking one look at surrounding mountain ranges and open space or by feeling the laid back, welcoming vibe that the locals exude. 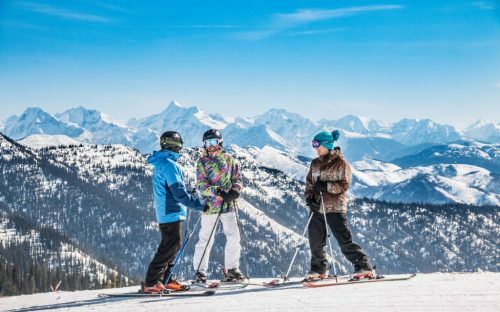 Then, when your group members notice Whitefish Mountain Resort’s unmistakable groomed and uncrowded runs on legendary Big Mountain, they’ll be chomping at the bit to gear up and hit the slopes. To sum up: when you combine prime skiing and breathtaking views with charming downtown Whitefish and a variety of restaurants and bars, you’ve got a ski trip that your group will want to relive year after year. What are the slope specs? What are our accommodation options? There are more than 200 lodging options on-mountain for your ski trip at Whitefish Mountain Resort, making it an ideal place for the serious ski and snow sport enthusiast. Condominium properties of various sizes and amenities are all over the resort. The Deluxe Ski in/Ski Out Morning Eagle and Kintla Properties located in the heart of the mountain village offer an ideal location for groups of various size. For the group that would like a unique and superb experience, combining a few mountain homes would offer spectacular views, comfortable environments and proximity to the slopes. Many homes feature fireplaces, hot tubs and other fun amenities. Hibernation House is a 24-room hotel (no-frills, though breakfast is included) that is the ideal place to book your group if they’re less focused on where they’re sleeping and more focused on where they’ll be spending their days: on the snow. Kandahar Lodge features 50 luxury hotel rooms, an in-lodge gourmet restaurant with an extensive wine list and every possible comfort. This hotel will easily satisfy even the most demanding group seeking all the comforts a first-class hotel can offer while still being steps from the slopes. The town of Whitefish offers plenty of other lodging possibilities, such as bed-and-breakfasts and motels. Getting your group to Whitefish Mountain Resort is simple by almost any mode of transportation. Traveling by bus or car? US-93 North or South will take you to downtown Whitefish, which is just a four-mile drive from the resort. Alternatively, the SNOW (Shuttle Network of Whitefish) Bus shuttle goes to and from downtown Whitefish and the resort, free of charge, day or night. Taking the train? Amtrak services Whitefish on the Empire Builder line on a daily schedule, arriving from major cities like Seattle, Portland, Spokane, Chicago and Minneapolis. Flying in? Glacier Park International Airport, located just 30 minutes from the slopes, is served by Alaska, Delta and United airlines with daily flights to and from Denver, Salt Lake City, Seattle and Minneapolis, Minnesota, plus weekly flights to and from Chicago (among other cities and carriers). Shuttle service and car rentals are available at the airport. What can we do off the slopes? There is plenty to do when your group sheds the skis. Base Lodge Bar & Café is the place to grab a bite on the mountain. Ed & Mully’s, located in the mountain village, has 15 beers on tap (most are local) and offers a family-friendly, laid back atmosphere. Summit House boasts the only mountaintop dining in Montana with views of Glacier National Park and Flathead Valley. You can’t visit Whitefish without walking away with something to remember the trip by. In downtown Whitefish, just a quick shuttle ride away, check out quaint shops, markets, equipment stores, galleries and boutiques. On-mountain, Base Lodge Traders, Snow Ghost Outfitters and Summit Gifts offer simple shopping pleasures as well as snow necessities someone in your group may have forgotten. When the sun goes down, explore the downtown area’s bars, live music and events. There’s also nightlife fun to be had on the mountain itself. 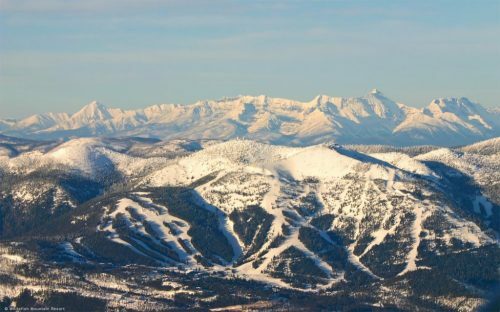 Groups are encouraged at Whitefish Mountain Resort, and there are regular specials starting at $135/person ($84 in spring), including lodging and lift ticket. If you’re a fan of uncrowded slopes and affordable skiing, natural beauty and creature comforts then it’s time to stop dreaming and start planing. Now you know that Whitefish Mountain Resort hits all of those sweet spots, all that’s left to do is book your group trip and announce the exciting details! If you’ve already been to Whitefish and have some wisdom to share, comment below and let everyone know about your experience.